An uncharred cob fragment was recovered from the fill deposit in Unit 22 just below floor 10, at a depth of approximately 4.0 m below surface. 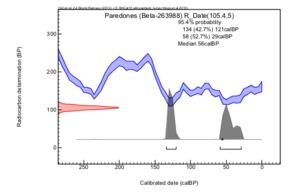 Its date is essentially modern, even though many dated samples from neighboriing strata range in age from about 5700 to 5000 cal BP. 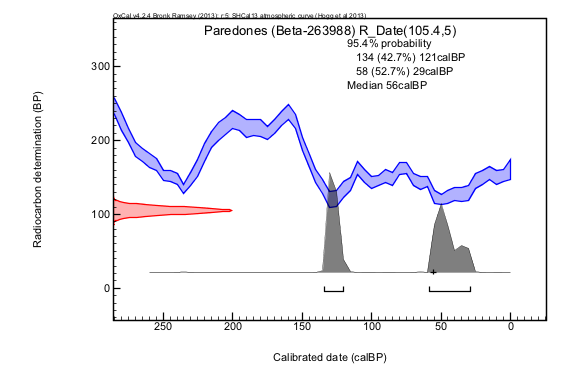 The excavators take this to indicate that the age of Beta-263988 is incorrect (Grobman et al. 2011: SI, p.1), and therefore, likely contaminated.